The River Ribble floodplain at Long Preston is of national importance because the flat valley bottom and river features support unique wetland flora and fauna. 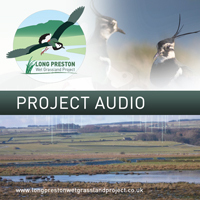 The project area is of national importance for nature conservation and is a Site of Special Scientific Interest (SSSI) for breeding wading bird populations, aquatic flora and the rare northern spike rush. It is a haven for birds and other wildlife. The floodplain is important for several species of breeding wading bird of conservation concern. These birds come to the floodplain in spring every year to nest and raise their young before leaving the floodplain, usually by late July, after their chicks have fledged. 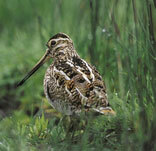 It is known that there are at least sixty pairs of breeding wading birds on the floodplain. Each of the species has its own unique courtship displays. 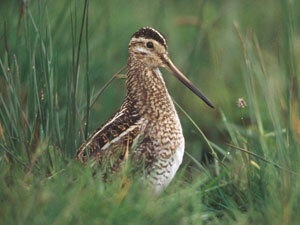 Snipe display-dive and spread their tail feathers to make an unmistakable drumming sound. Lapwing can be seen twisting and turning in the sky and plunging down to the ground with their distinctive Ôpee-weetÕ call. Curlew with long curved bills, have a drawn out mournful song. Redshank are less obvious birds but can be spotted by their long red legs and sharp alarm call. Oystercatcher are brightly coloured birds with an orange bill and black and white body. Their voice is very loud especially as they wheel around overhead. Each species has slightly different habitat requirements to breed successfully. 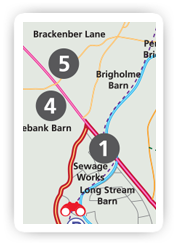 However, they all require access to soft ground, small shallow pools, a variety of grassland heights and structure, low cattle stocking and late cutting of meadows. Other species of birds are found here mainly in winter. The wetlands and the river provide them with ideal feeding grounds and sites for roosting. More than 2500 individual waders and wildfowl have been counted in recent winters. 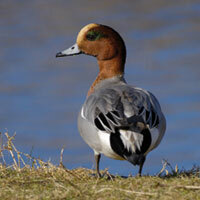 The main wildfowl to be seen here in winter include pintail, wigeon, teal and shoveler. 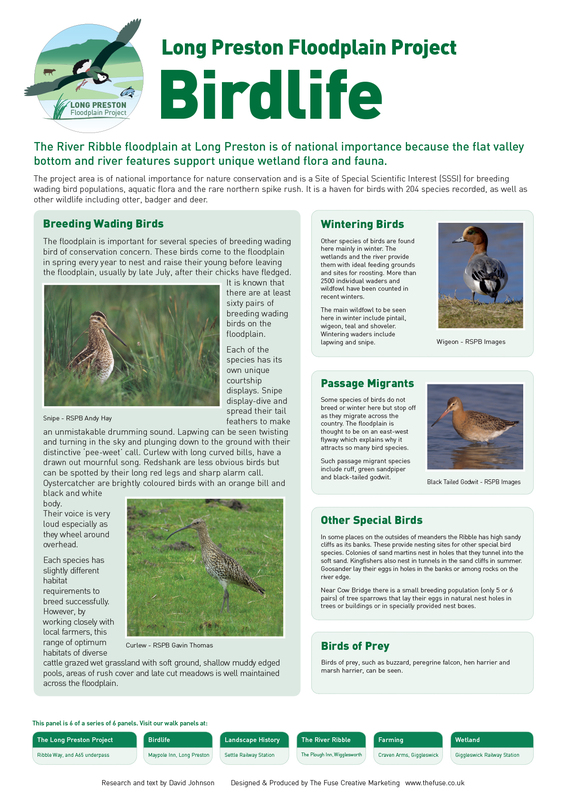 Wintering waders include lapwing and snipe. Some species of birds do not breed or winter here but stop off as they migrate across the country. The floodplain is thought to be on an east-west flyway which explains why it attracts so many bird species. 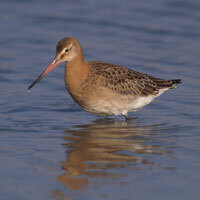 Such passage migrant species include ruff and black-tailed godwit. In some places on the outsides of meanders the Ribble has high sandy cliffs as its banks. These provide nesting sites for other special bird species. Colonies of sand martins nest in holes that they tunnel into the soft sand. 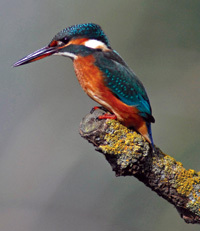 Kingfishers also nest in tunnels in the sand cliffs in summer. Goosander lay their eggs in holes in the banks or among rocks on the river edge. Near Cow Bridge there is a small breeding population (only 5 or 6 pairs) of tree sparrows that lay their eggs in natural nest holes in trees or buildings or in specially provided nest boxes. 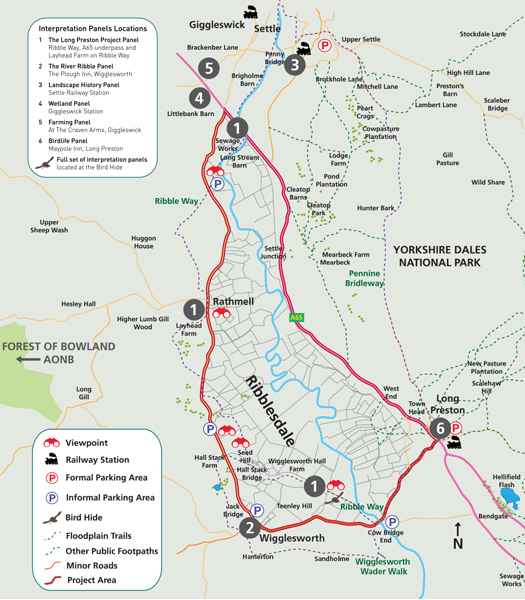 Birds of prey, such as buzzard, peregrine falcon and occasionally hen harrier, can be seen.